OBI catalyzes the impact of brain research in Ontario by increasing collaboration among researchers, doctors, patients and their advocates, and industry partners. A key ingredient to collaboration is, of course, sharing. At OBI, a cornerstone of effective research collaboration involves sharing large quantities of data. In order for this to be done effectively, it must be stored somewhere where it can be accessed and analyzed collectively. 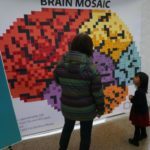 Brain-CODE (Brain Centre for Ontario Data Exploration) is a platform that manages the collection, storage, integration, processing and analysis of data streaming in from each of OBI’s five research programs. It allows researchers to share their discoveries and start asking novel, never-before-possible questions, and it will enable them to begin looking across brain disorders to better understand common, underlying causes. OBI is excited to collaborate with the U.S.’s National Institute of Mental Health (NIMH), one of the National Institutes for Health, given the opportunity to work together to make meaningful strides in autism research. Researchers know that there is no single cause of autism spectrum disorder, but rather a combination of factors including genetic risk and environmental stressors. The heterogeneity in the way the disorder presents itself makes it difficult to treat, and complicated to study. For these reasons, today’s autism spectrum disorder (ASD) researchers come from a wide-range of science and medical backgrounds where they are interested in looking at broad collections of data ranging from brain imaging to behavioural assessments. 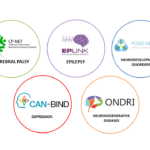 OBI’s Province of Ontario Neurodevelopmental Disorders (POND) Network involves over 39 core researchers at multiple academic and clinical sites across Ontario. Collectively, they are studying ASD as well as other neurodevelopmental disorders including: attention deficit hyperactivity disorder, obsessive compulsive disorder, intellectual disability, Rett syndrome, Tourette syndrome, Fragile X syndrome, and Down syndrome, with the research data flowing to the Brain-CODE platform. Designed to allow secure linkages to other databases, the value of Brain-CODE data can be enhanced by linking it to other data sets. Technology developers at the NIMH were of the same mind when they created their National Database for Autism Research (NDAR). The US-based platform seeks to facilitate data sharing and scientific collaboration on a broad scale, providing a shared common platform for autism researchers. NDAR integrates and standardizes data, tools, and computational techniques across multiple public and private autism databases. The new two-way linkage between Brain-CODE and NDAR will leverage the potential of existing data and will provide Canada and U.S.-based researchers with a whole new set of possibilities. 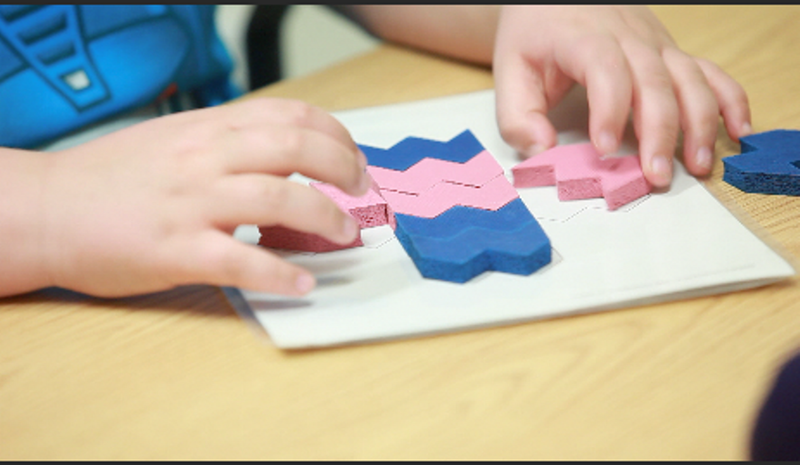 “Sharing data has become critical to understanding complex heterogeneous disorders such as ASD. No group alone has large enough sample sizes to examine and interpret such heterogeneity. By combining resources, we significantly increase our chances to both understand the different underlying biologies and to translate such discoveries into novel treatments,” explains Dr. Evdokia Anagnostou, POND Principal Investigator, in the Bloorview Research Institute at Holland Bloorview Kids Rehabilitation Hospital. Plans are underway to build-in additional functionality that could encourage collaboration among researchers on both sides of the border. Similar to the way many social media platforms operate, researchers would be notified every time someone accesses their data connecting them to others working on similar research questions. OBI aims to ensure that this linkage paves the way for others to come. An international group of leaders with expertise in knowledge representation, machine learning, modelling, and data analysis form the Brain-CODE Analytics Blue Ribbon Advisory Committee to advise OBI on the development of the analytics capacity of the platform. Meanwhile another set of experts form the Brain-CODE Advisory Committee and direct Brain-CODE’s leadership team to ensure that the platform in meeting international leading practices for informatics in neuroscience. OBI is working steadily to continue developing the potential of Brain-CODE and it’s very exciting to see other leading organizations thinking along the same lines. When everyone pools their knowledge by sharing research data, we all move towards making a real impact on health for people all over the world.